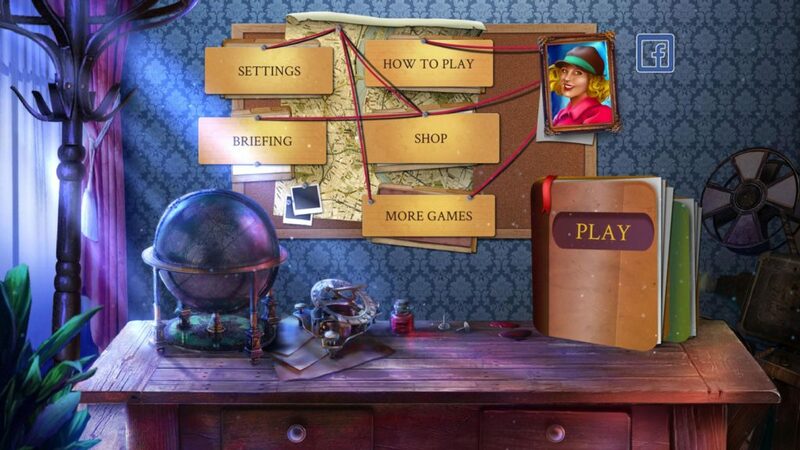 Home #IndieDev Hidden Object Incidents – I Spy a Beautiful Adventure! 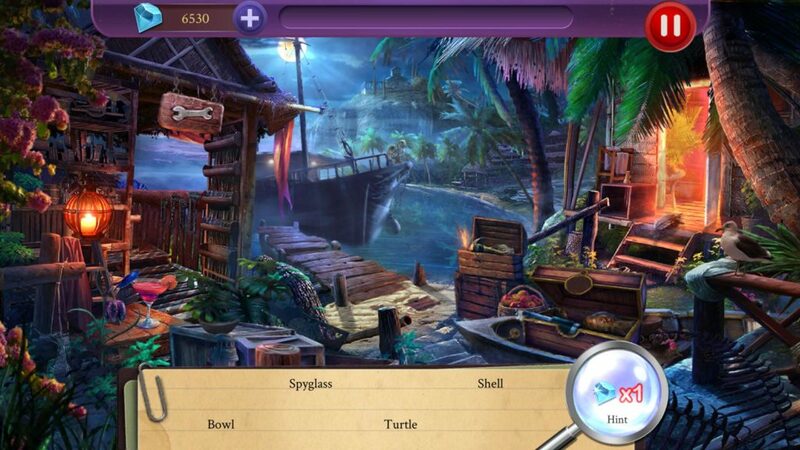 Hidden Object Incidents – I Spy a Beautiful Adventure! Put your searching skills to the test! Hidden Object Incidents is a game for everyone, bringing fun, simple gameplay to your phone or tablet. When her ship is badly damaged and blown off course in a storm, our heroine decides to venture onto an uncharted island in search of supplies. That’s where you come in! Hidden Object Incidents is very easy to pick up and play. Begin by selecting a chapter, then select a scene. Each time you search a scene, you’ll earn points, which unlock stars. As you earn more stars, you’ll unlock new scenes to search. • Highlight – Move the search area around the screen to find items. You can’t see everything at once! • Time-Attack – You only have so much time to find each item, but you’ll be shown the silhouette and name. This is a very challenging mode that you’ll unlock after earning four other stars on a level. You won’t earn stars in Time-Attack mode, but your high score will go up on the leaderboard! Some items are tricky to spot. Don’t forget that you can pinch-zoom to take a closer look. Items aren’t always hidden in the same place and they don’t always look the same, so stay on your toes. The Hint will show you one item on the list. 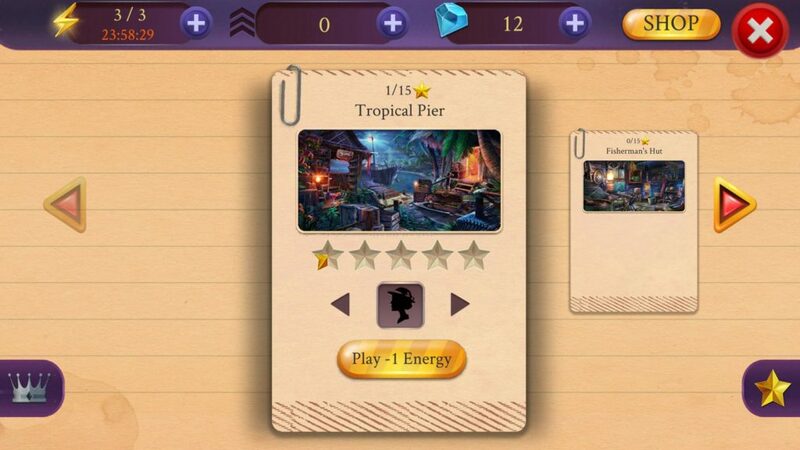 You start each level with one hint, which refills over time, or you can spend a gem to refill it instantly. Each time you find an item, the multiplier meter at the top will fill up. Finding items rapidly will increase your point multiplier, which earns you stars more quickly, unlocking new levels. – When you start a level, rack up a big score bonus by locating all of the items shown on the list before selecting any of them. – You can earn even more points each time you complete a scene with Boosted Plays, available for a few gems in the shop. For permanent boosts, get the Collector’s Pack! – If there’s an item that keeps giving you trouble, try scanning the scene for that item before you select anything, even if it isn’t on the search list yet. You’ll be ready if it does pop up. – In every mode but Time-Attack, you’ll have three items to search for at any given time. You might spot that problem item while you’re finding other items on the list. – If it’s the last thing on the list, just Hint the darned thing! – Play in many languages: Great for learning new words in another language! Sunward Games is a small, independent development studio based in Hungary. We are a diverse group that has grown in many ways since the company was founded in 2010. We’ve released many hidden object adventure games, available on PC and mobile, including The Secret Order and Endless Fables series. 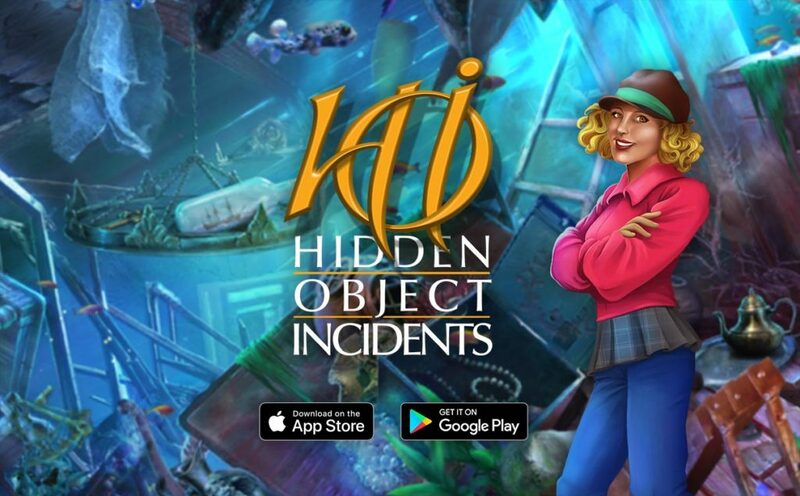 Hidden Object Incidents is our first independent game release for mobile, and we hope that you’ll have a wonderful time playing it! This article was Published by Edamame Reviews, Written by Sunward Games.